French or German? From the Alsace or South Germany? Rectangle or circle? 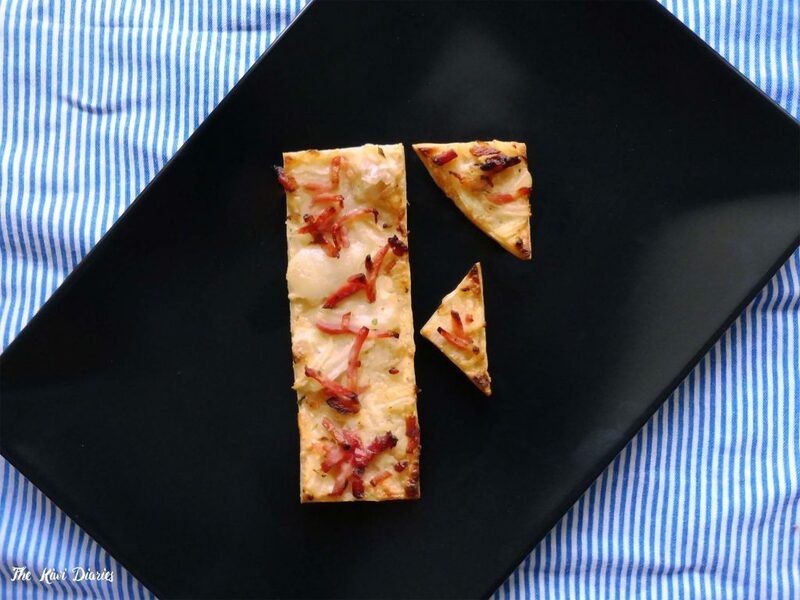 Tarte flambée or Flammkuchen? This are the questions that for years had the two countries fighting for the title of creator of the Flammkuchen. The Flammkuchen is a bread dough made without yeast, rolled very thin and baked in a wood-fire oven. It is usually topped with crème fraîche, raw onions and bacon, even though there are different topping depending on the region.